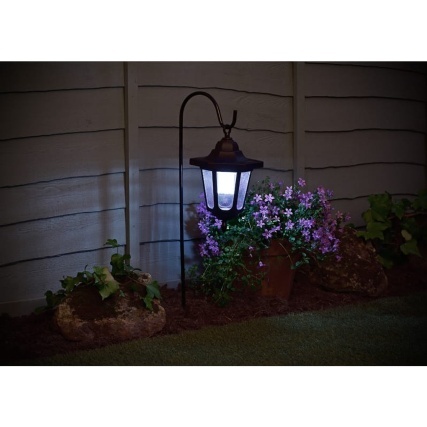 Shepherd's Crook Lantern Solar Light. 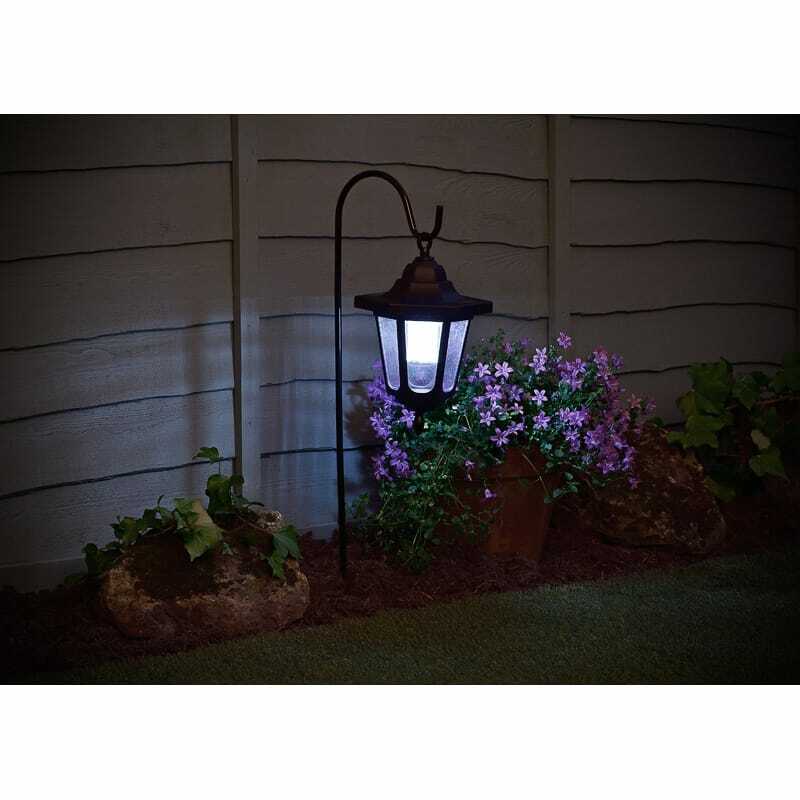 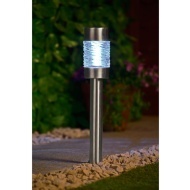 For a beautiful way to light up your garden, use this Shepherd's Crook Lantern Solar Light. 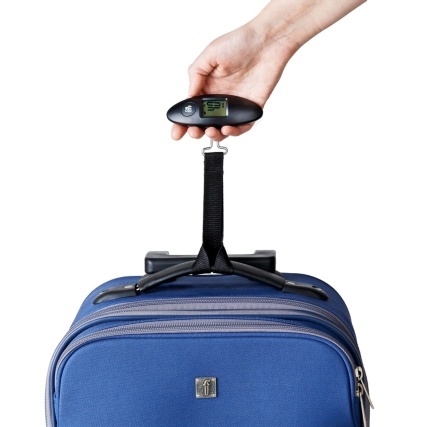 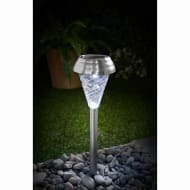 With no wiring required, the solar powered light will automatically switch on at dusk. 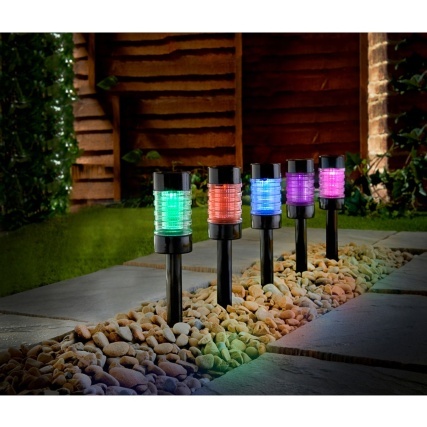 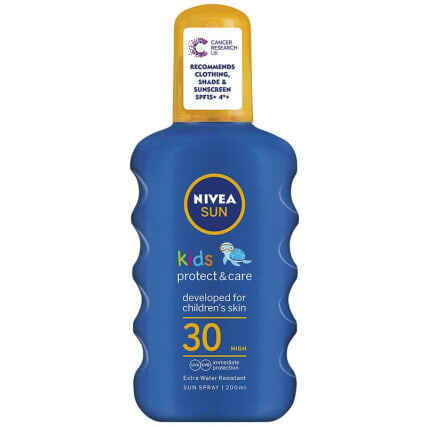 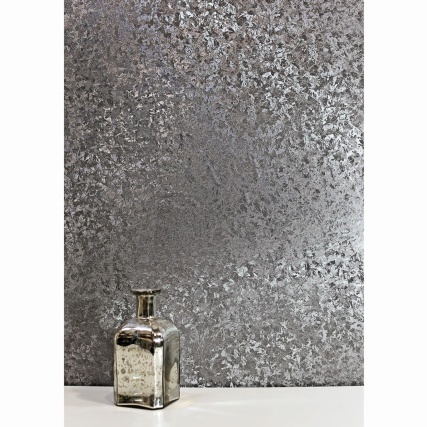 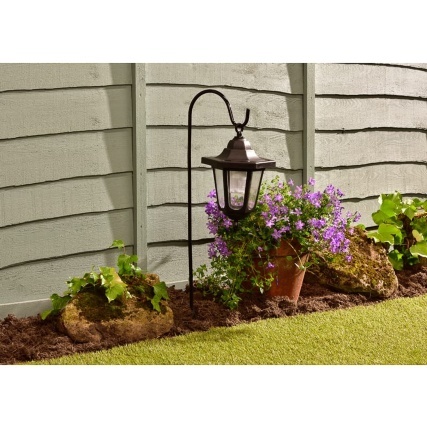 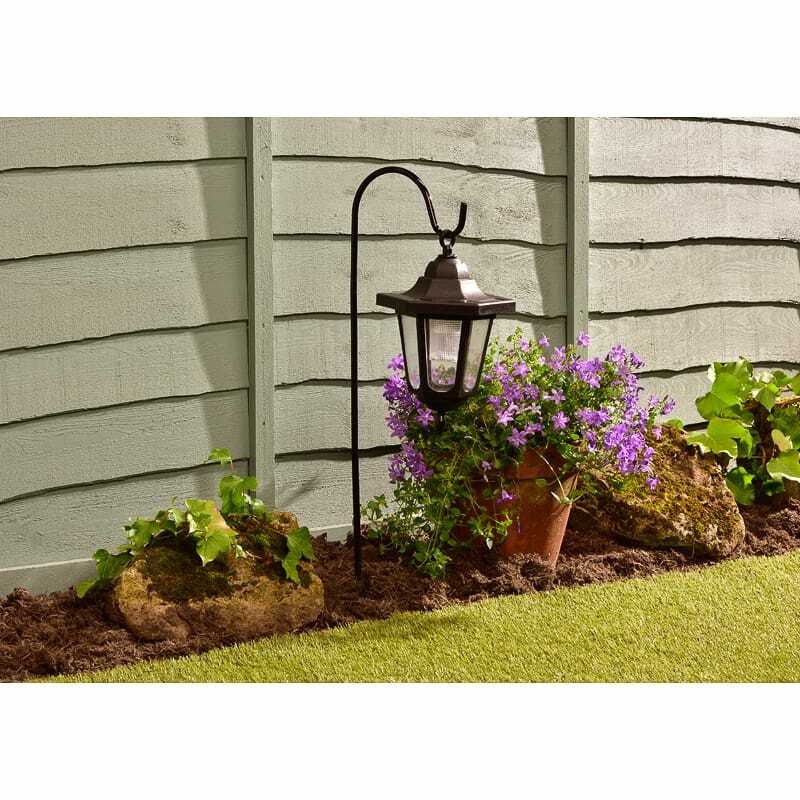 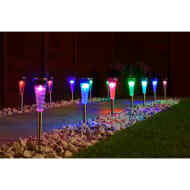 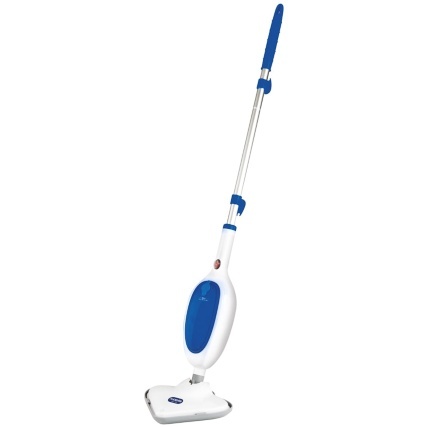 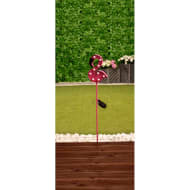 Ideal for lighting up paths, patios and borders. 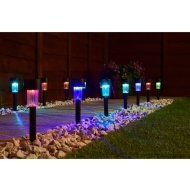 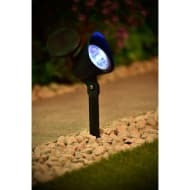 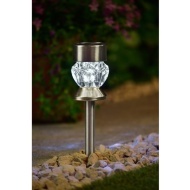 Browse more Decorative Solar Lights online, and buy in-store at B&M.